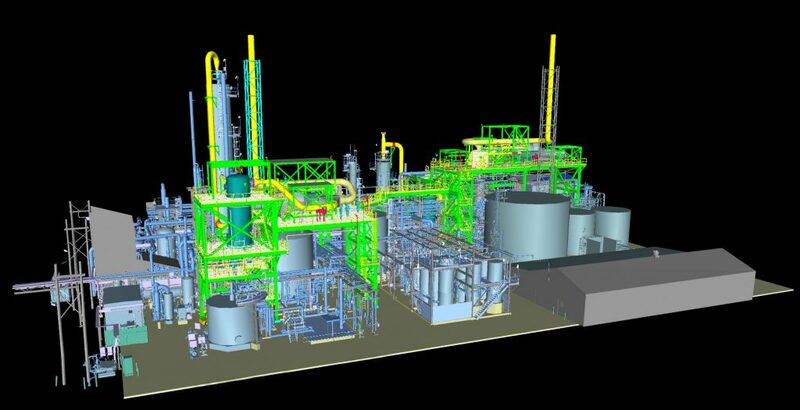 In 2014, Atlantic Constructors was selected as Mechanical Contractor for construction of the NOx Gas Abatement System associated with the C Process Train at the AdvanSix Facility on Industrial Avenue in Hopewell, Virginia. ACI was prime mechanical contractor and performed the rigging and setting of approximately 34 pieces of equipment along with fabrication and installation of 9,000 LF piping. Duct-work fabrication and installation was also performed. Primary equipment for the Disulfonate and Nitrite phases included stacks, venturi scrubbers, demisters, fans, heat exchangers, burners, scrubbing reactors and various gas skids. Piping was stainless, carbon and FRP large bore.